Orkney Soap creates exclusive handcrafted soap and skincare using traditional and contemporary methods with an emphasis on natural ingredients. Located in Albert St, Kirkwall, we proudly produce soap products that reflect the unspoilt and serene beauty of Orkney. Inspired by Orkney's rich heritage and culture we produce 15 ranges including Meadow Dew, Orkney O2, Island Mist, Merry Dancers and Sunset Orkney. From our ranges you can purchase hand wash, foam wash, body wash, bubble bath, bath bombs, bath melts, traditional hard bar soaps, glycerine soaps and candles. Other luxury products include bath salt, lip balm and cream. We work as a small team proudly making our soaps on the ground floor production area of our shop. We use only the best ingredients. Emphasis is placed on sourcing environmentally friendly, sustainable ingredients including: organic coconut oil, palm oil and natural essential oils. 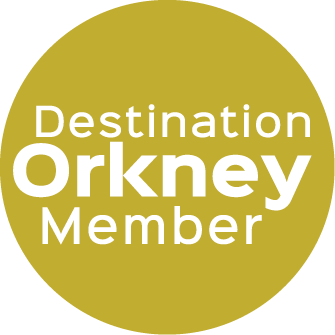 Our premises on Albert Street is popular with both tourists and Orkney locals. We supply our product to accomodation providers, vistors attractions and eateries throughout Orkney, and regularly see their customers popping along asking to take some soap home with them. Orkney Soap is proudly part of COPE Ltd, a Shetland and Orkney based social enterprise company providing skill development and employment opportunities for adults with disabilities in our local community. To find out more please visit www.cope.ltd.uk. Open Sunday 12:00 - 16:00 June - August.